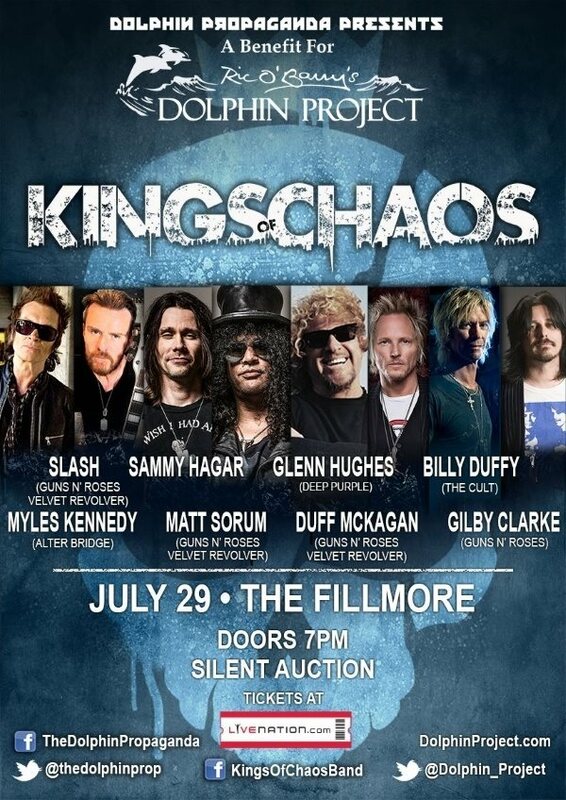 Kings Of Chaos, the group composed of ex-Guns N’ Roses members, Slash, Matt Sorum, Duff McKagan and Gilby Clarke, along with Sammy Hagar, Billy Duffy (The Cult) Glenn Hughes (ex-Deep Purple), and Myles Kennedy (Alter Bridge, Slash), will be playing a special show in San Francisco, CA, on July 29. The group will be playing a benefit for Ric O’Barry’s Dolphin Project, which is a non-profit campaign, aimed at stopping the slaughter of dolphins. Tickets for this special event can be purchased via Live Nation on June 12.